Design Everest Consulting Engineers, is a leading provider of structural engineering services for residential & commercial construction. No project is too small or too big for us. We have successfully completed over 2000 projects across California since 2005 - on time, on quality & on budget! With Design Everest as engineering experts, you can be assured of safe, code-compliant & cost-effective residential or commercial structures. What makes us special and #1 ranked by our customers? Deep engineering and design expertise Our structural engineering knowledge is extensive & we work on a wide range of projects including, but not limited to, custom homes & remodels, apartment buildings, condominiums, townhomes, office buildings, shopping centers, parking structures, restaurants, individual retail stores & warehouses. Our customer success model and our unique customer success approach to design and engineering: At Design Everest, surpassing our clients' expectations is our highest priority. We provide our engineering services using the marketplace model: happy customers are the foundation of a healthy business. Maintaining a strong relationship with our clients & providing a simple, seamless experience is as important to us as delivering high-quality services. To achieve this, our team of customer success managers ensures that each client has an active role in the completion of their project & receives the value they expect from the services we provide. Over a decade of extensive experience all through out California: In business since 2005, and with offices located in San Francisco, Mountain View, Folsom, Los Angeles & San Diego, we provide our services throughout California. Design Everest has a team of fifty licensed, engineers, and drafters. The delivery of structural engineering services has remained relatively unchanged for decades. Although Design Everest uses the same engineering practices that have always been used, we've reinvented how these services are delivered through supplier & project optimization with data analytics. By working with Design Everest, you'll be taking part in a new era of high-quality engineering with superior value in terms of cost & schedule. We support homeowners with comprehensive structural engineering services. By truly listening, and gaining a full understanding of your needs, Green Circle Construction creates the home of your dreams, built to your specifications, and we work to perform within your budget. Pederson Construction is a San Francisco based construction company that takes pride in providing high quality work in a prompt, courteous manner, and at a reasonable price. 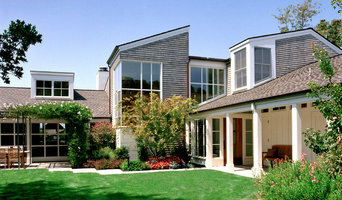 San Francisco Architect Best of Houzz! Mark English AIA and his associates at Mark English Architects create beautiful modern architecture, exploring the power of simple forms and spaces specific to place and client desire. Green Power Remodeling is a family-owned business, an industry leader with more than a decade of experience in construction, home renovations, engineering and design. With our team of experienced engineers, architects, contractors, and masters of all trades working under one roof we make sure to provide you with the best quality of work that will make you amazed. Located in the San Francisco Bay Area, we are a general building contractor that strives to exceed customer expectations. Implementing the best practices of the industry, we use the finest materials. 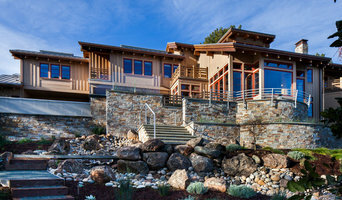 LEED-certified architects of finely-designed custom homes, remodels, additions and interiors. A client-centric approach. Permit expertise and excellent project management. Design Quality and Diversity Winder Gibson’s signature design projects are never bound by a specific style or material palette, but rather demonstrate an attention to detail, clean crisp lines, sustainability and function. They approach every design with an appreciation for the poetic experience of architecture, such as a hand gliding down a mahogany handrail or the afternoon light captured through a certain window. On their website you can see the depth of experience in their portfolio of diverse projects, flawlessly executed for satisfied clients. Client-Oriented Approach Winder Gibson understands that it takes more than a good design to make a project happen—it takes collaboration and communication. They actively listen to their clients and tailor their services to the clients’ needs. They promptly respond to phone calls and emails and deal with issues as soon as they arise. Working closely with clients, they understand the personal and emotional aspects of every project. And working with small and large developers, they know the business behind construction, including carrying costs, budgets and schedules. Free In-Home Consultation and Flexible Pricing Winder Gibson offers free initial in-home consultations. This meeting allows them to get to know you, assess the proposed project and develop a pricing structure that works for everyone. Not every client requires the same suite of services. They help clients understand the role of the architect and the ways they can save money in the long run by avoiding change orders and cost overruns during construction. Permit and Planning Department Expertise It is no coincidence that Winder Gibson’s office is a few blocks from the San Francisco Building and Planning Departments where they have carefully fostered strong relationships with staff members. They know how to shepherd a project through the confusing permit process and obtain variances, conditional use permits, neighborhood notifications and seismic upgrades. Beyond San Francisco, they have navigated some of the toughest permit departments around the Bay Area, including Tiburon, Hillsborough, Berkeley, and Sonoma and Napa counties. Our design practice focuses on the creation of classic, contemporary living environments. We are a group of individuals with a common interest in creating wonderful, client-responsive environments. Jennifer’s work is informed by a strong modern aesthetic paired with a respect for tradition & a belief that form & function can be perfectly married so that buildings create uplifting experiences. San Francisco's Design-Build & Home Staging Firm | 2x Best of Houzz! Lisa Violetto designs and manages renovations and makeovers as well as sourcing furnishings and finishes. 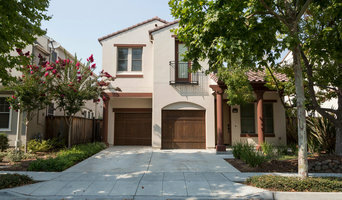 We specialize in preparing properties for sale in San Francisco Bay area & home staging. We have over a thousand countertop selections all made from high-quality materials. We are the dealers of these manufacturers and that's why you're going to get the best price from us! Call us today! 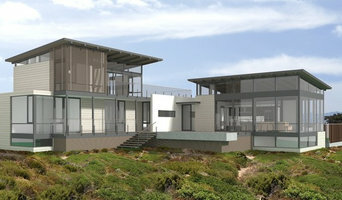 Karin Payson architecture was established in 1992 to pursue a diverse practice of both private and public work. We believe that all superior design stems from disciplined architectural inquiry. Golden Builders is specialized in the art of private residential custom home construction. Quality is our foundation, & every project we have completed speaks to our high standards. Call us today!